We explain the problems that a member of the public has experienced to trying to obtain a copy of Bil's testimony from Manchester University. It is difficult to believe that none of the twenty members of the Institute could recall being sent a copy of a testimony exposing unethical behaviour within their own University. In fact each member had received two copies of the testimony. The original testimony sent 16/08/2010 and an updated version sent 04/07/2011. A full list of recipients is provided at the bottom of this page. But getting the updated version of the testimony through to the Institute members was tricky because the Institute blocked emails coming from Bill's address. He got round this by using anom-de-plume, changing his email prefix from "billcourtney" to “SaveBritishScience”. This meant that each Institute member ended up receiving two copies of the testimony, even though they had had taken evasive action to avoid receiving the second copy. He also sent copies to the following so that they acted as witnesses. This meant that influential senior members of staff at Manchester University had received a copy of Bill's testimony. (i) Nobody from the President down has ever made any response to Bill. (ii) The so called "Institute for Science, Ethics and Innovation" was still blocking Bill's emails, so all copies of the testimony sent to the Institute bounced back. Click here to see the proof of bounce-back for yourself. Here is a copy of the testimony that the President of the University "did see" but members of her Ethics Institute did not. I would be grateful if you would add the following updated testimony to your permanent files, so that the truth about unethical research management is not entirely lost from the public records. As for the earlier version, this testimony is being sent to all listed members of the University of Manchester Institute for Science, Ethics and Innovation. This testimony exposes a research cover-up that jeopardises the international reputation of British science. The research relates to crash protection mechanisms (SALi Technology). So the cover-up may be causing unnecessary deaths and crippling injuries in violent impact accidents. This risk will remain until the cover-up has been admitted to the Engineering & Physical Sciences Research Council and funding has been released for the flawed research to be done correctly. The recent discovery of fresh evidence that SALi Technology is being developed outside the U.K. prompted the need for a revised testimony. In 1986, I invented SALi TechnologyTM, a mechanism for protecting people from violent impacts, such as those experienced in motoring accidents. After saving up for ten years, I worked with the Victoria University of Manchester (VUM), first as a mature MPhil student, then as a Research Fellow. The term “worked with” is appropriate because I voluntarily signed a legal agreement transferring 50% of future royalties from the commercial exploitation of SALi Technology to the University. This was potentially lucrative for the University. For example, the PedSALi project with the auto division of Dow Chemicals offered the prospect of bringing about $(US) 1 million to VUM each year. SALi Technology won international media attention and my promotional efforts brought £252 k funding for the PedSALi and CrashSALi projects at VUM. I held joint stewardship for PedSALi (£212 k) and sole stewardship for CrashSALi (£40 k). I was also awarded £45 k to work with the University on PedSALi, but only claimed £35 k.
My MPhil research supervisor and later research colleague appeared to be jealous of my media and pending financial success. This would explain why the University research was mismanaged. Invalid SALi formulations were used, so poor research results were obtained. This caused heated disputes because I refused to collude with University colleagues, in order to allow them to claim full public funding for bad research. My University colleagues obtained full funding for the PedSALi project by suggesting to the funding body that I had behaved unprofessionally and by publishing misleading papers which suggested SALi Technology was ineffective. Financial fraud The EPSRC paid the University for (i) claimed trips to Dow Chemicals UK headquarters, to present results to Dow engineers and (ii) for an industrial event, to present the results to European automobile manufacturers. Neither of these activities took place. These activities were supposed to be key milestones, indicating cooperative activity and the successful outcomes of the PedSALi project. The fact that they did not take place is clear evidence that the project failed. But, claiming for them creates the illusion that these activities took place. In spite of pursuing me for debt recovery, the University failed to obtain full payment for the misleading CrashSALi project because I refused demands made by the University solicitors, Eversheds. In contrast to the misleading Manchester research, good quality research at Cardiff , Cranfield [military, unpublished] and Nanjing [2, 3] Universities show that SALi is effective when valid SALi formulations are used. But we Brits are currently unable to develop SALi in the UK because the Cardiff and Cranfield research was limited work done on “shoestring” budgets. Why did the promising Cardiff research wind down? Based on (i) encouraging “shoestring” research results and (ii) an assumption that a formal enquiry would expose the Manchester research fraud, Cardiff worked with me to apply for EPSRC funding to do the car bumper research correctly. Unfortunately, the enquiry outcome further tarnished my name and the Cardiff funding bid failed. This testimony is necessary, because in order to cover up the research and financial fraud, a tiny number of people within Manchester University have maintained the stories that SALi does not work and that I have acted unprofessionally. After five years of lobbying by myself, assisted by my MP, Graham Brady, the post amalgamation University of Manchester agreed to carry out a formal investigation into my complaints. (i) Failure to share evidence Although I insisted on the University party being given complete copies of my evidence and statements, I was kept completely ignorant of any of the evidence or statements submitted by the University party. Consequently, I was unable to defend myself against false statements made against me. On reading the Panel’s report is was clear that many false statements had been made, both about me and Dow Chemicals. (ii) Failure to use witness evidence in a balanced manner According to the Report, two key witnesses that I had named to the VUM Vice-Chancellor, were not interviewed. These were Dr Michelle Cooper (pre amalgamation, at MIL, the business arm of the University) and Professor Steve Reid (Engineering, UMIST). The MIL business meeting Minutes verify that Dr Cooper minimised the involvement of my research supervisor, Dr Oyadiji, because his attitude was unhelpful. If called, I believe that Dr Cooper would have confirmed that the intimidating use of Eversheds breached the CrashSALi and profit sharing agreements, and probably breached company law. Professor Reid is on record has having questioned the competence of the VUM SALi research supervision. In 2003, he offered to manage the PedSALi research, to head off the looming PedSALi failure. The records show that Professor Reid’s offer was supported by Dow Chemicals and Courtney but blocked by Dr Turner on behalf of Manchester University. Dr Turner In 2003, the University had provided Dr Turner as an “independent” chairman with referee powers to help resolve the research disputes between Dr Oyadiji and Professor Wright on one side and Dow Chemicals and myself on the other. But Dow and I subsequently discovered that he was a one of Dr Oyadiji’s closest research colleagues. No Dow representative attended meetings after this discovery. I called for Turners resignation as Chairman but he remained because I was outvoted by Oyadiji and Wright. I provided the Enquiry Panel with proof that Dr Turner’s appointment was biased. However, Dr Turner is still recorded as an “independent” witness in their Report. Dr Turner co-authored the misleading PedSALi research papers. These were published under written protest from me because they breached the PedSALi contract and deceived the international research community. Consequently, in order to protect his professional reputation, Dr Turner had a strong personal interest in testifying against me. Dow Chemicals In an e-mail to me, Dr Toccalino a Dow representative claims to have submitted written evidence to the Enquiry, but the Report states that the Panel received no evidence from Dow. Please check my claims. For proof that Dr Turner was a biased University appointment see the Testimony Appendix below. Also, see (i) “Evidence from Dow” folder on the CD ROM for the Toccalino email, (ii) attached Information Commission letter, Section 5, p. 17. (iii) the footnote on page 2 of the Formal Enquiry Report, (CD-ROM). The Report succeeded in “clearing” all University employees of any wrongdoing, but only at the expense of creating new false statements about my own integrity and professional competence. The Report also failed to resolve my bad debt status caused by the use of Eversheds. The most implausible “story” about my engineering incompetence is outlined in the attached letter to Professor Sulston, the Chairman of the Institute for Science, Ethics and Innovation. I had no faith in the integrity of the Research Governance Office because they had failed to respect the basic rules of justice. Instead, I decided to submit a complaint to the Information Commission. A copy of my complaint letter is attached. The Commission apologetically returned my documents explaining that they had limited funding and could not take on such a complex case. I continued the quest to clear my name by submitting the same evidence to the University of Manchester, Institute for Science, Ethics and Innovation. A copy of my letter to Professor Sulston at the Institute is attached. The Institute passed my complaints back to the Research Governance Office at the University. As you can see from the attached letter, [Titled Research Governance Office August 2010] my very detailed complaints were rejected on the grounds that they were not submitted within ten days. (ii) The University had also failed to meet its deadlines. The relevant University Code of Practice recommended that the full University complaint response process should normally have been completed in three months. In reality, it was completed in fourteen months. The British public has a strong sense of “fair play”. It will not be impressed by the University breaching its own research governance guidelines, but insisting on others keeping them. The first duty of any Research Governance Office is to defend research integrity. The excuse that fresh evidence of unethical conduct could not be investigated because it was not submitted within ten days of being discovered undermines the concept of research integrity. This Manchester indifference to research integrity disgraces British science. It threatens future international collaborations involving British Universities. Sacrificing my professional integrity to boost the University research ratings is pointless. 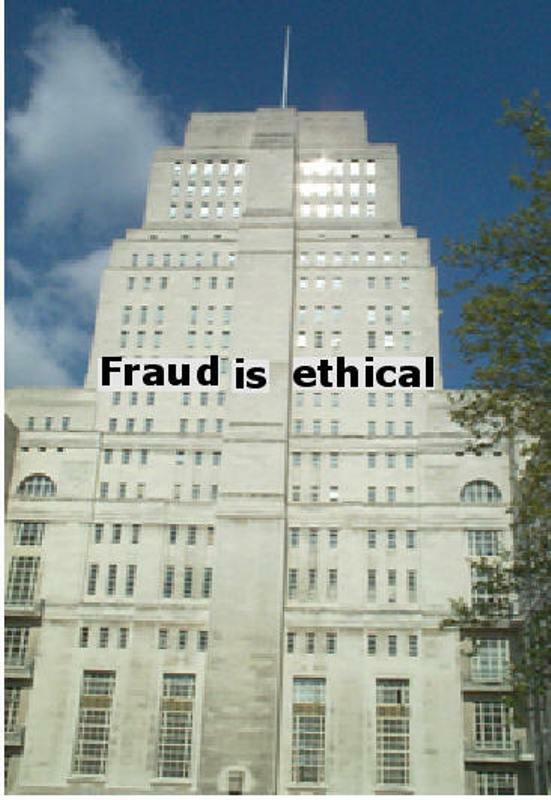 Beating the Oxbridge/London “golden triangle” competition will not impress the public, if research integrity has to be abandoned and fraud tolerated. In the internet age, the power of the anti-science lobby is growing. Climate change deniers, creationists, MMR vaccine opponents’ et al, will skilfully exploit any hint that British scientists cannot be trusted, and are incapable of policing their own profession. I presented the Enquiry Panel with clear evidence of financial fraud but they dismissed it. The Panel claimed that because the EPSRC had paid for the PedSALi research in full, it had been successful. Therefore the imaginative financial claims were permissible. This relaxed attitude to research fraud will bring public funding for the Research Councils and the TSB into question. To date I have unearthed two examples of Chinese state sponsored research taking SALi Technology forward. What is particularly puzzling is that both groups cite my unpublished VUM Masters Degree thesis in their references. So, if either of these projects leads to commercial products being developed, awkward questions could be asked about how unpublished British intellectual property ended up in China. Second Chinese project at the State Laboratory of Electrical Insulation & Power Equipment: this relates to the reduction of vibrations caused by industrial size electricity transmission equipment. [4.] Note: Gaining access to this State Laboratory research has been difficult. I cannot be certain of the true extent to which SALi Technology has been plagiarised. A recent description of a military helmet (dev.nsta.org/evwebs/30n/Pages/Headsup-2.htm) suggests that the Americans may be developing SALi Technology. The helmet includes a lightweight shock absorbing liquid that stiffens under impact. It is retained inside low stretch aramid packaging. i.e., it meets the specifications for SALi Technology. Earlier, in 2001, Helmet Integrated Systems Ltd had approached me and suggested funding SALi research at VUM relating specifically to military helmets. But HISL lost interest after Dr Oyadiji delayed sending them our research proposal. If the American helmet is SALi based, then the British public will be very angry that opportunities to protect our troops from traumatic head injury have been squandered. Here are three levels of my evidence that you, the witness, can check. QUICK OVERVIEW: See the attached letter to Professor Sulston. FURTHER DETAILS: Read the following sections of the attached letter to the Information Commissioner. THE COMPLETE (i) Read my letter to the Information Commissioner. EVIDENCE (ii) I can email copies of Exhibits IC1-IC27 referred to in the letter. and the Institute I can post you the documents on a CD ROM. Document A1/ A Docs folder /Nobel folder/CD ROM. Please save this testimony on your computer, so that the truth is not entirely destroyed. Share this testimony with trusted colleagues, but, please do not convert my testimony into an anonymous chain letter. *At an early stage in the struggle, my MP, Graham Brady, wrote to the (then) Minister for Science, Lord Sainsbury. Lord Sainsbury ruled that he could not intervene and that the issues had to be resolved directly, between myself and the University of Manchester. Huw Davies et al, Cardiff University School of Engineering, ESV Conference, Stuttgart, June 2009, Paper Number 09-002. This paper was based on good quality but “shoestring” research carried out by undergraduate students. Performance characteristics of a SALiM isolator, H. d. Teng, Q. Chen, Nanjing University, Proceedings of the World Congress on Engineering, London, July 2009. Study on an Audible Noise Reduction Measure for Filter Capacitors Based on Compressible Space Absorber Wu Peng et al, State Key Lab. of Electr. Insulation & Power Equip., Xi'an Jiaotong Univ., Xi'an, China, Power Delivery, IEEE Transactions, vol. 26, Issue 1, January 2011, pages 438 445. The research described in papers 2, 3 and 4 was financed by the Chinese government. In contrast, Dr Davies at Cardiff University was unable to build on his work because he was refused public funding. Well supervised undergraduates at Cardiff have done more useful SALi research in six months, than badly supervised post -doctorate researchers at Manchester in four man-years. A second difference is that the British taxpayer paid for the unproductive Manchester research. Consequently, Cardiff was unable to claim funding, to do the more detailed work correctly. (ii) in spite of complaints by Bill Courtney to the Formal Enquiry Panel, his role as lead partner of the PedSALi project is still being airbrushed out. (i) Proof of Dr Turner’s claim that he had the power to “send off” anyone who disagreed with him. (ii) Evidence that Dow lost trust in the University following the appointment of Dr Turner and false statements being made about their employees. Here is the list of recipients of the original testimony, including all listed members of the Institute for Science, Ethics and Innovation. This is the list of recipients of the updated testimony, including all listed members of the Institute for Science, Ethics and Innovation. The second testimony bounced back from all ‘Ethics Institute addresses. So it was resent, with Bill changing his name to SaveBritishScience. This time none of the emails bounced back. When responding to the FoI request, the members of the ‘Ethics Institute ignored their statutory obligations by denying any knowledge of the testimony. This took place in the aftermath of the University of East Anglia “Climategate” affair. So Manchester University cannot claim ignorance of its FoI Act obligations. Bill copied the University Vice-Chancellor into his March 2013 correspondence with the member of the public that had made the futile FoI request. This meant that the V-C received a copy of the testimony and was aware her staff were failing to comply with the law. Bill also copied Retraction Watch www.retractionwatch.com into the correspondence.